Liz: If you’re a regular reader, you’ll have noticed more and more frequent mentions over the last year of a piece of kit called RACHEL-Pi. 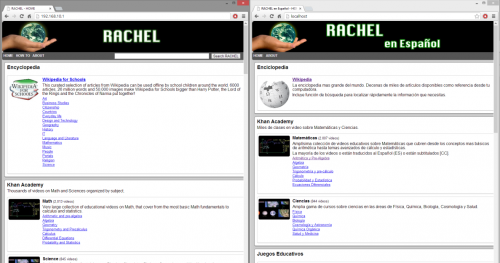 RACHEL is an offline server, run on a Raspberry Pi, full of educational content from teaching curriculums, Khan Academy materials, Wikipedia, classic literature, reference material and textbooks; alongside vital community materials like medical and first aid textbooks. 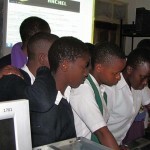 We’re very proud to be able to support World Possible’s RACHEL-Pi project through our education fund. 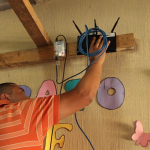 It’s being used all over the world in remote places where the internet is unavailable – and this year it’s gone from strength to strength. 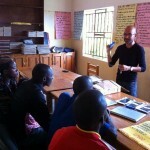 Here’s Jeremy Schwartz, the Executive Director of World Possible, to show you what they’ve been doing with the project in the last year. What an incredible 12 months it has been. 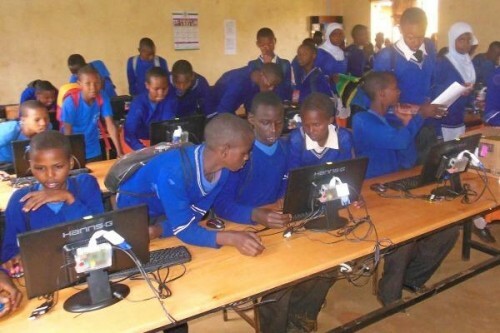 World Possible has seen RACHEL-Pi (our Raspberry Pi-based educational server) deployed in scores of countries – often in the most remote of locations – delivering a world of educational content to tens of thousands of students previously far removed from the great online learning tools those of us reading this blog take for granted almost every day. It’s worth taking a few seconds to get some history on World Possible’s RACHEL server. In 2009, World Possible (an all-volunteer team, mostly from Cisco) curated a package of creative commons resources (Wikipedia, Khan Academy, CK12 textbooks, and much more) for offline distribution. 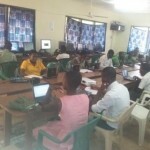 Coupling the content with open-source web server software, we could create “Remote Area Community Hotspots for Education and Learning,” (“R.A.C.H.E.L.”) – a locally cached web server accessed through any connected web browser (with no need for internet connectivity). 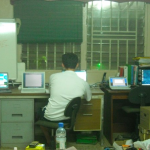 Probably more naïve than anything, an attempted round of pilot projects of RACHEL (which at the time was a power-hungry NAS device) in 2009, in Sierra Leone, failed in pretty dramatic fashion. 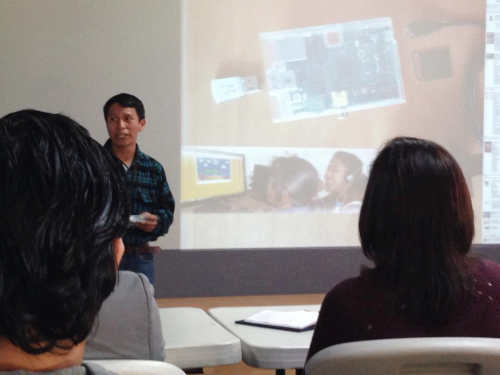 Almost exactly a year ago, a partnership with the Gates-Backed Riecken Libraries in Guatemala and Honduras, as well as a funding leap of faith by a few loved donors and the Rotary Club of Portola/Woodside Valley (CA), allowed us to launch a new phase of World Possible and RACHEL-Pi focused on creating, curating, and distributing relevant content from and within disconnected communities. 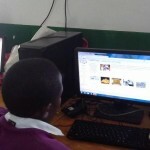 A good old fashioned sneaker-net, delivering locally relevant (and often locally created) digital educational content to disconnected schools, libraries, orphanages and community centers. 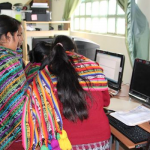 The World Possible team in Guatemala is now led by Israel Quic, a native Mayan, initially attracted to RACHEL-Pi as a means of preserving and teaching his Mayan heritage and language to local communities. 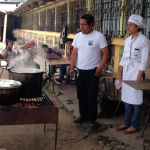 Israel quickly saw an opportunity to collect more locally relevant agricultural and political resources than we currently distribute as part of our Spanish-language RACHEL-Pi. 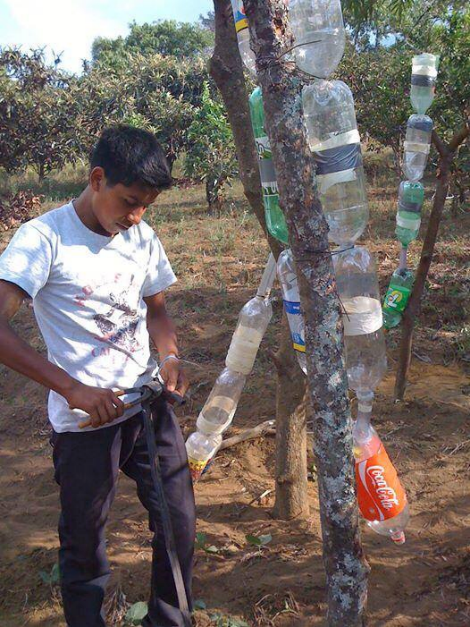 In April, the fruits of his labor truly began to sprout, when word came from one agricultural community, an early RACHEL-Pi recipient, which built a drip irrigation system out of old plastic bottles after discovering how to do it from a single teacher’s smartphone while researching our Guatemalan content on their RACHEL-Pi. The successes only caused us to redouble our efforts. Aided by our local Facebook page, World Possible Guatemala solicits offers of help and requests for RACHEL from across the country. 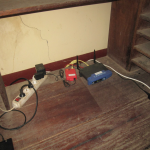 Installations of RACHEL-Pi in community centers and libraries are often made available 24/7, enabling anyone with a smart phone to come learn, research, and explore. 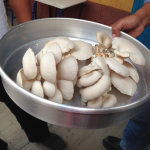 San Juan del Obispo in Sacatapequéz is an agricultural community where middle school kids are using RACHEL to learn not only how to grow and irrigate, but also how to cultivate mushrooms and make fresh peach jam. 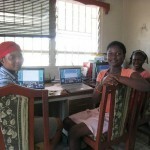 Along the way they get business skills as well. The mission in Guatemala is still just beginning, but the lessons learned and successes are providing a key roadmap for World Possible. Make available valuable educational resources, supplement them with locally relevant vocational and cultural content, get buy-in from local community volunteers, and distribute… distribute… distribute. The results are truly inspirational. 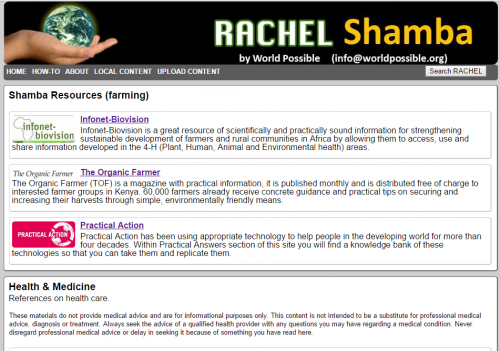 Globally, the RACHEL effort is still driven by the hundreds of groups that download RACHEL and distribute independently in their own communities. Everything we do is free to download through our website, FTP site, BitTorrent sync, or even shared Dropbox. The Raspberry Pi has also made it so anyone can do this on their own, a powerful democratization of access to a world-class education. World Possible will continue to support these groups through our own volunteer network, through independent advice, and by creating the best package of content available. 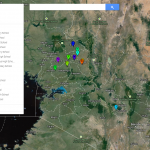 Even more today, a biweekly newsletter is connecting thousands of RACHEL advocates in nearly 40 countries who have been through the process and can provide best practices to new users locally. 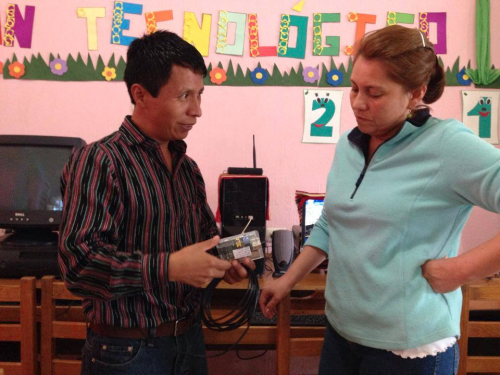 What excites us most is our ability to replicate the successes that have been achieved in Guatemala. 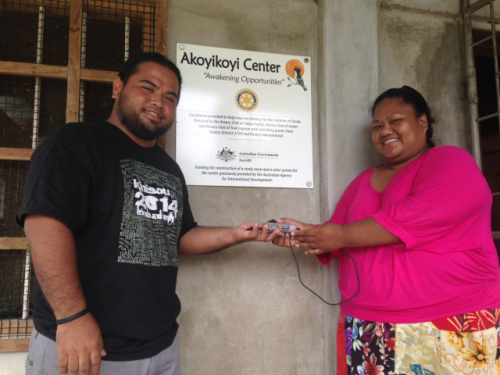 In Micronesia, Professor Hosman and her students curated a RACHEL for the state of Chuuk. 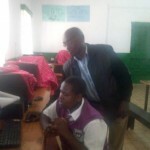 She’s now working with Inveneo to deploy RACHEL to the entire region’s network of schools. 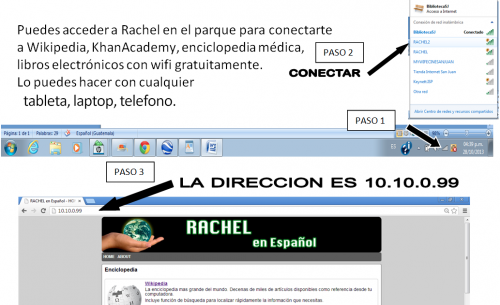 Where we can, we’ll look to our long-time distribution partners to help create full labs to access RACHEL-Pi. 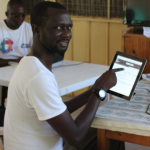 Here in Uganda, Romeo Rodriguez gives his “children” their first ever look at technology in a new library thanks to a full “digital library-in-a-box” from World Possible. We’ll continue to find ways to hire additional country managers, local to their communities, who have proven their dedication to RACHEL, to involve indigenous people in creating and distributing the content they currently lack. If you’d like to be part of the mission, we’d love to have you. 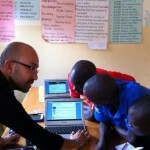 A great group of development volunteers can be reached at [email protected]. If you have networking expertise, we can pair you with a group that might need your help deploying RACHEL – [email protected]. If you want to join the Raspberry Pi Foundation in supporting our efforts financially, we’d love it – donate here. If you want us to come talk to your group, or help deploy RACHEL, we’d love that also – please don’t hesitate to get involved! 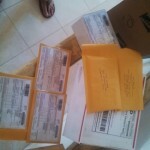 Thank you to all of the individuals and groups who already have; there is so much more we can do together. A great project in my opinion, it was a good decision to back this one. The farming resources sound intresting , i wander if they have heard of “Food sovereignty” if not perhaps it might be of intrest? Well the little computer that could; did it again.. It seems the Raspberry Pi is only used as a Thin Client to view a Windows VM that must be run on a (energy hungry) Server and you need one vom for every Client Pi. This Concept makes no Sense to me, the Pi coud do very well as a native Client with a Webbrowser. But when the Gates Fondation is involwed they only give Dollas if Windows is used to Embrace and Extend the Userbase of the Monopolist Microsoft. 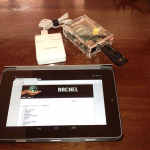 No, the Rachel content server runs on a Pi, and turns the Pi into a WiFi hotspot. Clients can be Pi’s or smart phones or tablets — anything with a browser. Windows machines are still much too power-hungry to be of use in schools where a small solar panel and battery supply the electricity.